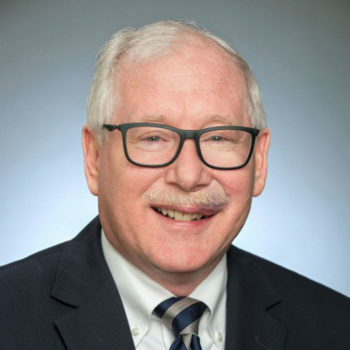 Stephen Newman served as Chair of the JDRF Research Committee from 2016 to 2018 and a member of its International Board of Directors, serving as vice chair from 2014-2016. He has served as a board member of the T1D Fund and was the founding chair of the T1D Fund Investment Committee. Steve and his wife Debbie’s daughter Emilie was diagnosed with T1D in 1983 at age 5. In his professional life, he is a Strategic Advisor at Gryphon Investors and recently served as a member of the board of directors of Zavante Therapeutics Inc. Newman presently serves as Executive Chairman of the board of directors of CentraForce, LLC. Previously Steve served in a number of senior leadership roles at Tenet Healthcare Corporation including Vice Chairman, C.O.O., Executive Vice President and C.E.O., Tenet California. Before joining Tenet, he held executive positions at HCA Holdings Kentucky Region and served as Senior Vice President and Chief Medical Officer of Touro Infirmary in New Orleans. Prior to 1990, he was an Associate Professor of Pediatrics and Medicine at Wright State University School of Medicine, and Director of Gastroenterology and Nutrition Support at Children’s Medical Center in Dayton, Ohio. Steve earned his M.D. from the University of Tennessee-Health Science Center, M.B.A. from Tulane University and his B.S. in Biological and Biomedical Sciences from Rutgers University.